This is the soup that has become a hot topic between me, my mom, and my cousin… Lohikeitto, creamy salmon soup. 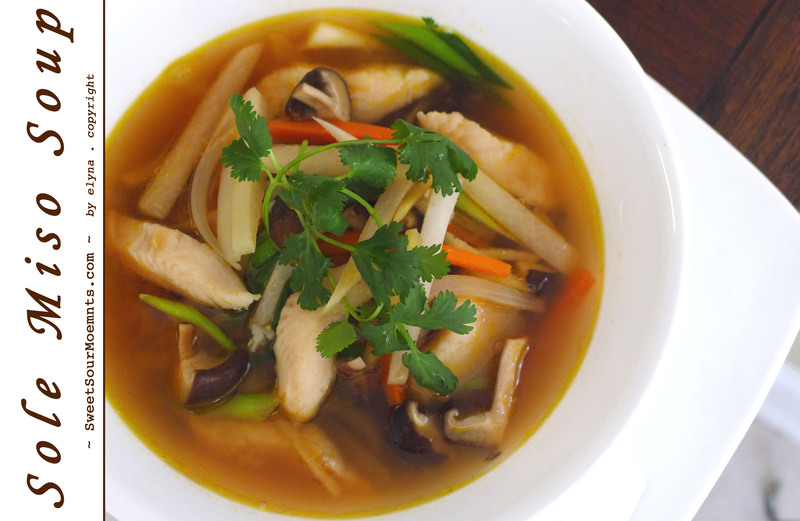 Such a perfect soup for this fall weather. 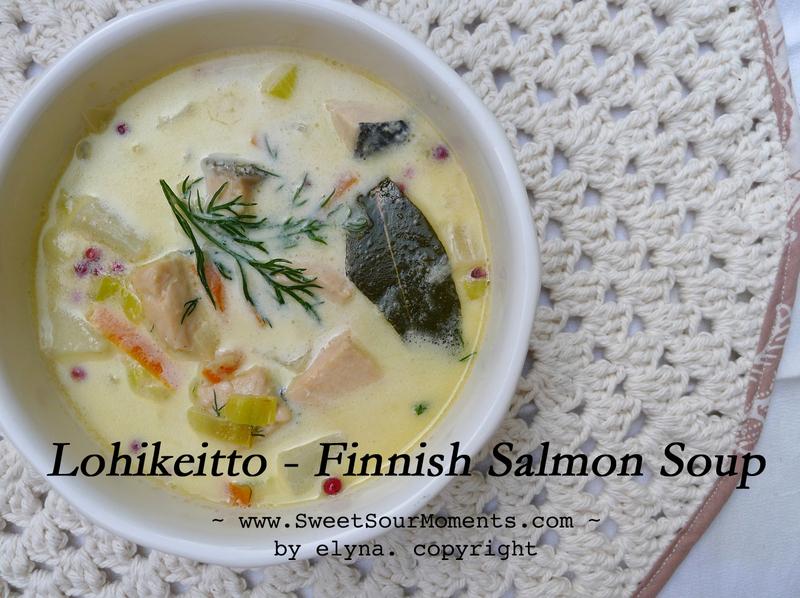 When I and my mom visited Helsinki last month, this soup was almost in our daily menu… we kept talking about how delicious it was and how we would miss it. After spending nights googling and reviewing recipes, I finally came up with this. Enjoy! 1. Saute 1 C sliced leek and 1/4 C chopped onion in 1.5 tbs butter until wilt. 2. 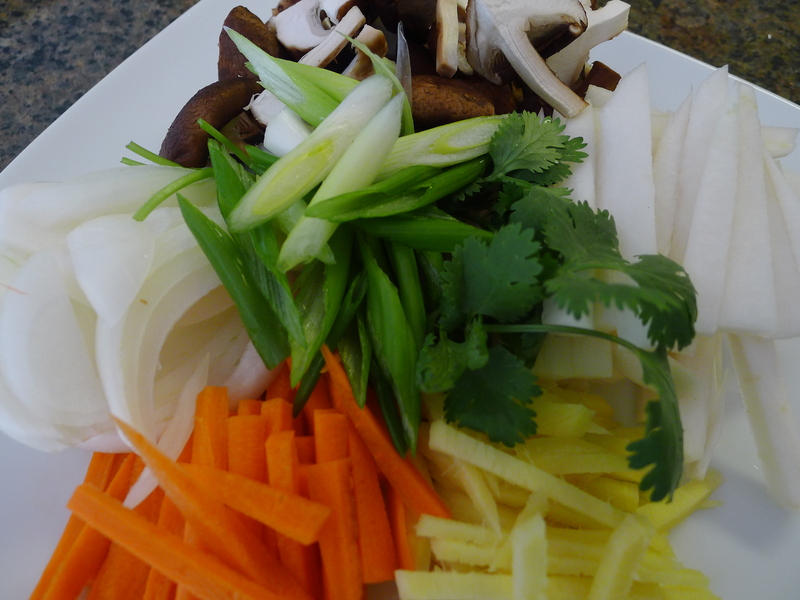 Add 1 C diced potato and 1/2 C thinly sliced carrot. 3. 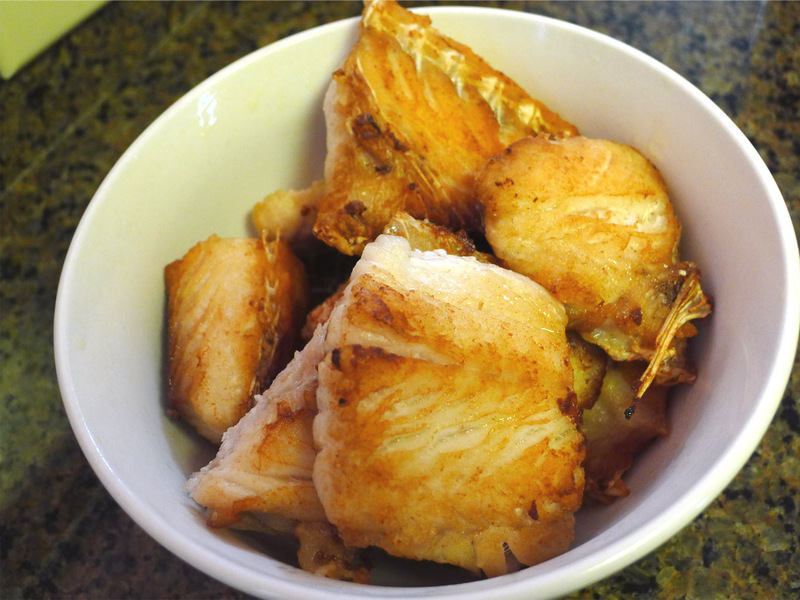 Add 3 C fish stock and 1 C water, cook until potatoes are soft then add 1 C heavy cream (less or more if you prefer thinner or thicker soup). 4. Stir to mix then add 2 small bay leaves, 2 lime leaves, 1/2 tbs pink pepper corn, 1 bunch chopped dill leaves. 5. 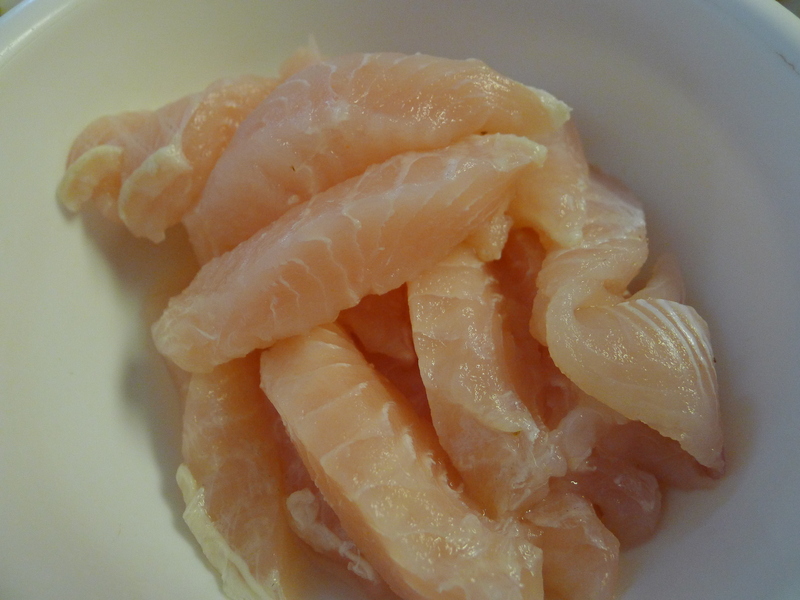 Let it boiled for another 5minutes before adding 2 C diced salmon, continue to cook until the salmon is cooked through. Add salt to taste. 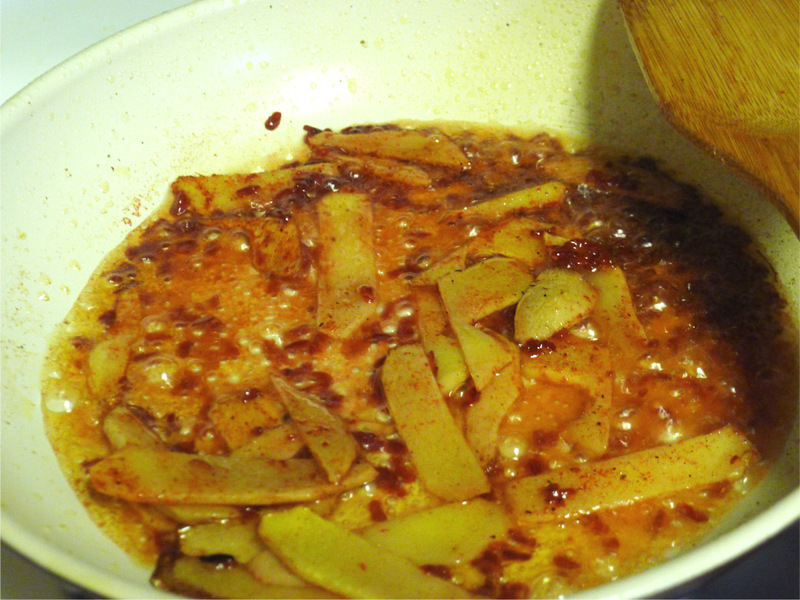 Add 1 tbs butter then turn it off. 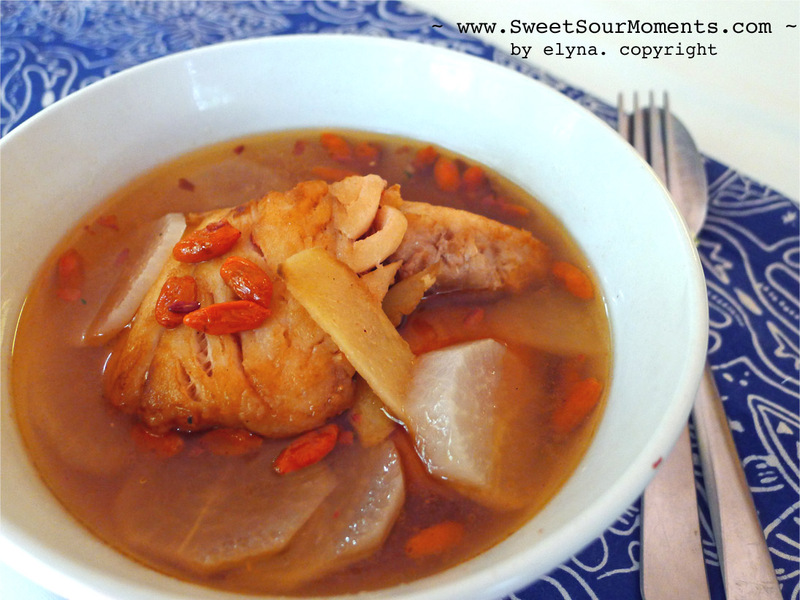 This soup is very oriental, specially because of ginger and gojiberry. 1. Prepare 1 lb. 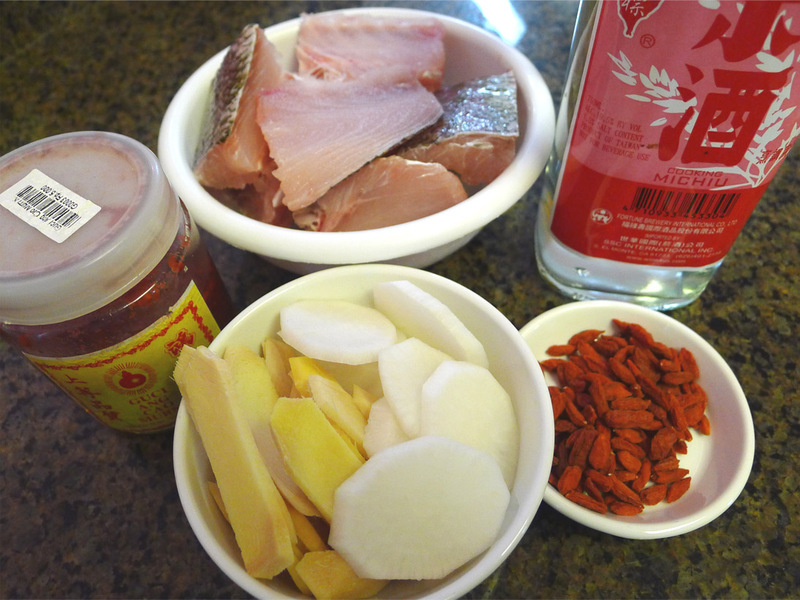 yellow tail snapper fillet (or red snapper), 1/2 C cooking rice wine, 2 tbs red yeast rice wine, 1/4 c gojiberry (rinsed), 1 C sliced radish, 1/2 C sliced ginger, salt to taste. 2. 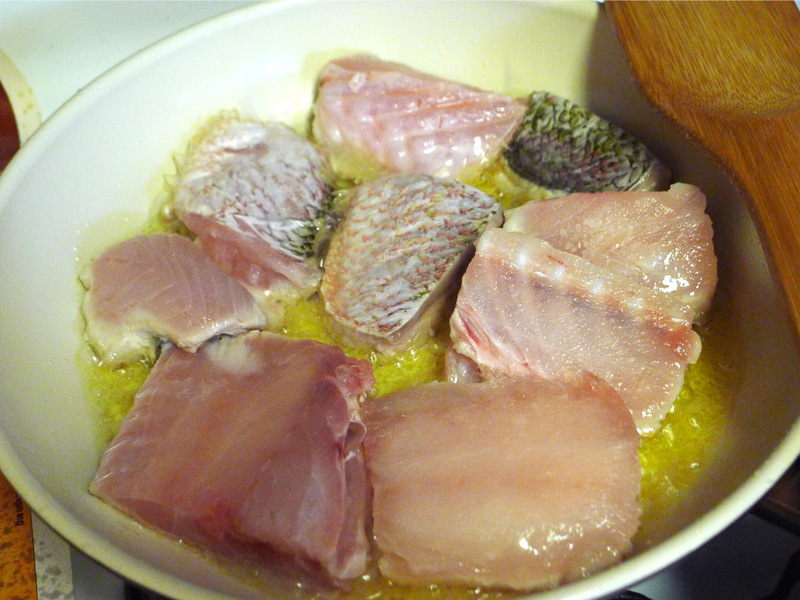 Pan fried the snapper fillets in +/- 5 tbs vegetable oil, set aside, leave the oil in pan. 3. 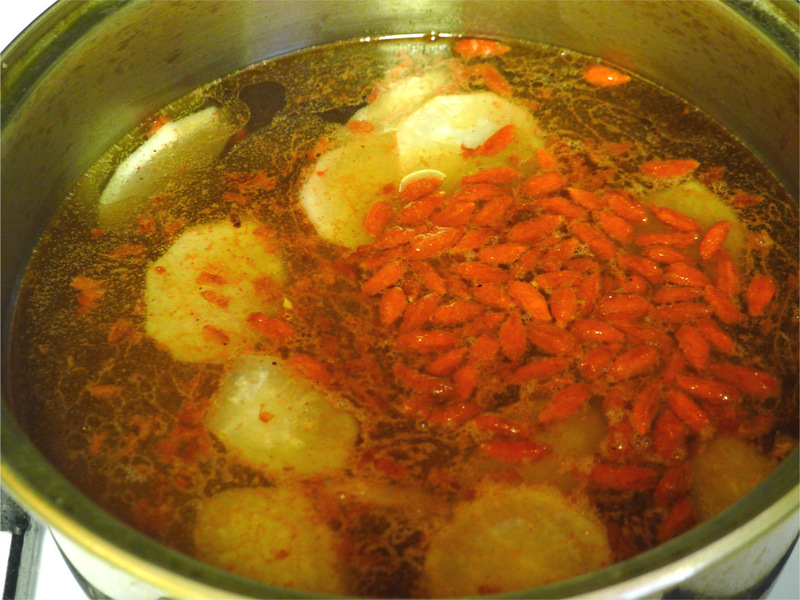 Saute the ginger, add red yeast rice wine and rice cooking wine, stir until the alcohol reduced. Meanwhile cook the radish in 5 C water. 4. 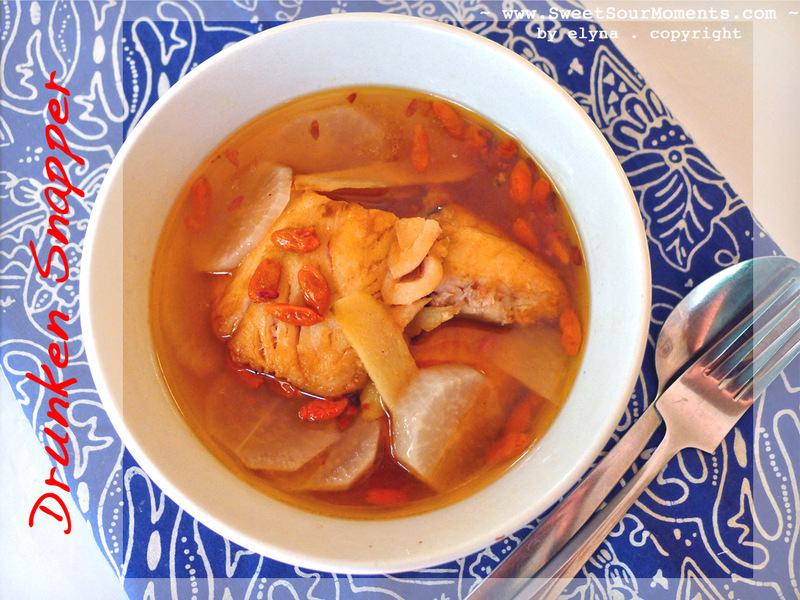 Pour the ingredient in the pan and gojiberries into the boiled water, add salt to taste, cook for about 5 mins before add the snapper fillet, cook for another 5-8 mins to get all the flavors in the soup.